Feel the need for speed? This exhilarating speedboat ride takes you out onto Lake Michigan for the ride of a lifetime. 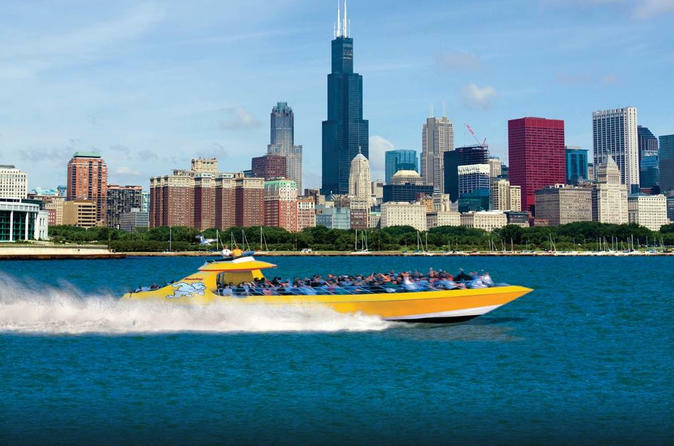 Experience the roar of the 2000-horsepower engines as you race along Chicago's famous Lake Michigan. The best way to view Chicago is always from the lake!